Real wasabi, Wasabia japonica, is apparently one of the most expensive vegetables to grow. That green stuff you're eating? Ground horseradish, Chinese mustard, and, you guessed it, green food coloring. Yum. 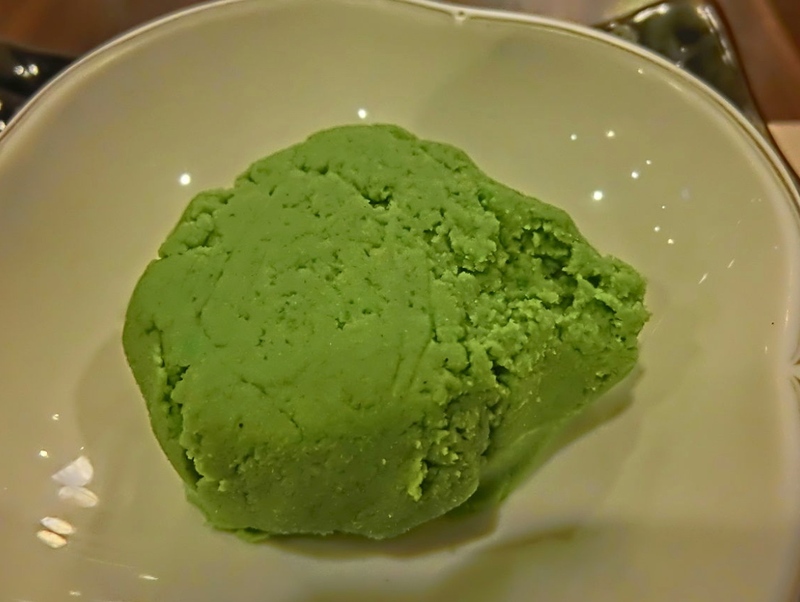 According to The Atlantic, "Worldwide, experts believe that this imposter combination masquerades as wasabi about 99% of the time." Above, meet Shigeo Iida, 75, whose family has grown real wasabi for eight generations. 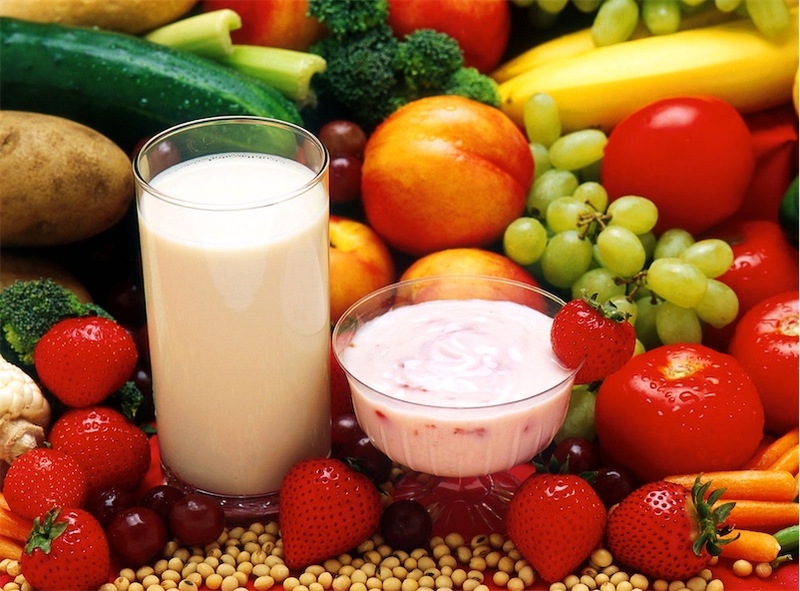 New York public school lunch program will have "Meatless Mondays"
"Cutting back on meat a little will improve New Yorkers' health and reduce greenhouse gas emissions," de Blasio said at a news conference. "We're expanding Meatless Mondays to all public schools to keep our lunch and planet green for generations to come..."
School leaders in New York said doing this just makes good sense. "For those who scoff at this notion, I have some simple advice: Look at the science," Staten Island Borough President James Oddo said. "Look at the data. Look at the childhood obesity. Look at pre-diabetes diagnoses. Look at the fact that 65% of American kids age 12 to14 shows signs of early cholesterol disease. Then, perhaps you will embrace the fact that we can't keep doing things the same way, including welcoming the idea of Meatless Mondays." 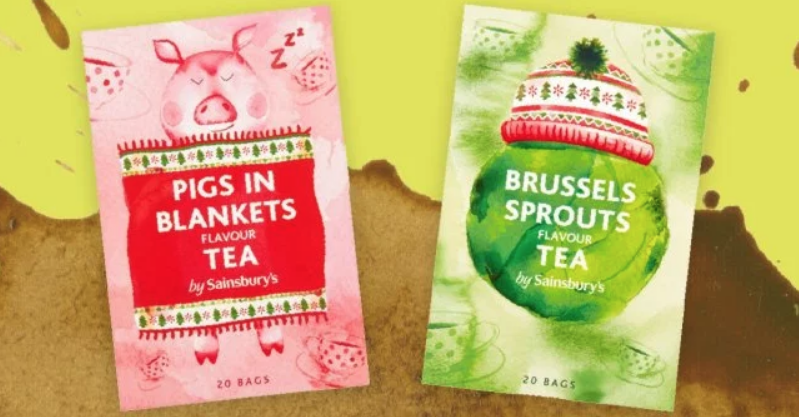 Back in October, Sainsburys grocery chain launched two new questionably-flavored teas based on UK Christmas dinner favorites: Brussels sprouts and pigs in blankets. Yes, you can now drink meat or vegetable flavoured tea and we’re not quite sure what to think. In hopes of helping anyone looking for unusual gifts, Sainsbury’s decided to create a green tea which is made using actual Brussels sprouts, as well as a tea which features the smoky flavour of sausages, sage and rosemary. The supermarket says the tea will make the ultimate stocking filler for any foodie – especially as it’s only £1 for 20 teabags. Despite the name of the pigs in blankets flavour, it is suitable for vegans and is totally calorie free, and is apparently best enjoyed without milk. British grocer Iceland (yes, that's really its name) is not messing around with "autumn" and "pumpkin spice." How pedestrian! 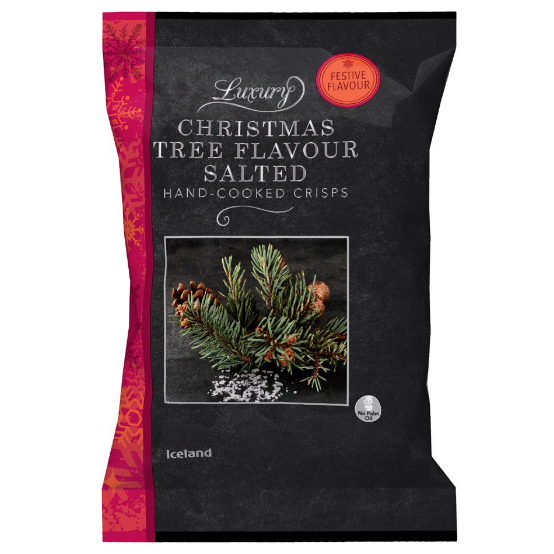 They're headed straight for the taste of December 25th with their "Luxury Christmas Tree Flavour Salted Hand-Cooked Crisps." Yup, they've made potato chips that taste like pine trees. What gives the chips, sorry crisps, that distinctive Christmas tree flavor? Pine salt and pine oil, according to the ingredients. A bag costs just £1 (approx. $1.30) but it's only available in the UK (for now). Tom Fassbender went camping with his daughter and cooked bacon and eggs in a paper bag set over campfire coals. He says it was a "mixed success" but the results look tasty! Volcano Dust is a brand of powdered bhut jolokia chili peppers. Also known as ghost chills, bhut jolokias are mind-bendingly hot. For example, an average jalapeño pepper measures about 5,000 on the Scoville heat scale; a bhut jolokia measures 1,000,000 Scovilles. The manufacturer of Volcano Dust sent me a box of samples, and I carefully tried them out. They are certainly the hottest powdered chili peppers I've ever tasted, but I like them. A slight dusting of the Hot Italian Blend on my easy-over eggs or chicken soup turns them into an exciting culinary experience. Here's to blown-out capsaicin receptors! Living in Southern California, we have an abundance of citrus nearly year round — lemons, limes, kumquats, grapefruits, and more. I also have a household of beverage enthusiasts, from my kids who love to make lemon-, lime-, etc. -ades, or “kid drinks” as they call them, to my wife and I who are crazy about cocktails, flips, fizzes, and sours. This is why I graduated from my fine, but slow, hand juicer, to the monstrous, restaurant-calibre Ra Chand J210 Bar Juicer. It makes quick, efficient work of juicing tons of citrus. Rather than dread all the labor, I’m now happy to juice enough fruit to make a full pitcher of Ginger Limeonade with my kids to sell in their DIY juice stand. The Ra Chand is dead simple. No motors or fragile plastic parts to break — in fact it only has six parts, made of cast aluminum, plus a wire return spring and a few bolts. The mechanical advantage it provides is tremendous. With its long lever and offset pivots, even my six-year-old daughter can use it to easily squeeze a half-lemon dry. The Ra Chand is big enough for me to juice a medium grapefruit — when I have a larger-sized one to contend with I quarter it (and secretly wish I had the even-larger model, the J500). At the Smithsonian's Smart News blog, a fun post looking at historic debates in America's science media about whether it's okay to eat horse meat, with links to some Scientific American articles from the 1860s and 1870s. One such article published in 1875, "Shall We Eat The Horse?," argues that "in not utilizing horse flesh as food, we are throwing away a valuable and palatable meat, of which there is sufficient quantity largely to augment our existing aggregate food supply. Supposing that the horse came into use here as food, it can be easily shown that the absolute wealth in the country would thereby be materially increased." A decade later, SciAm published this piece screengrabbed above, on the shifting cultural norms that made eating horse totally not cool. K0re on YouTube had a genuinely wonderful day in Switzerland that included the HR Giger museum, lashings of absinthe, and a good deal of time in the company of a machine that patiently rotates wheels of cheese. I wanted to see the Giger Museum and Bar in Gruyeres about an hour away from Montreux. The driver Pascal suggested the cheese factory and took me on a mini-tour of how they make gruyere and how the cows are treated, etc. after an afternoon of absinthe and grotesquerie.